STEP celebrates 30 months of active Youth Participation in environmental decisions! 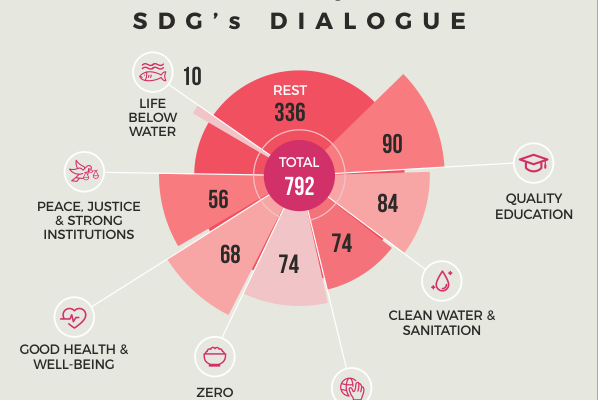 STEP aimed at providing a platform and a digital environment,that will encourage the active participation of youth in global development issues with particular emphasis on sustainable development and environmental decisions. In that frame STEP hosts its final event on the 8/12/2017 within the EUth Open Summit “Youth eParticipation in Europe: The Future is now”, which will take place on 7-8/12/2017. 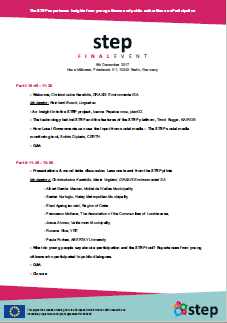 The STEP team will present the experience gained, the final version of the platform and results generated from 30 months’ work (for more details please see the attached agenda)! 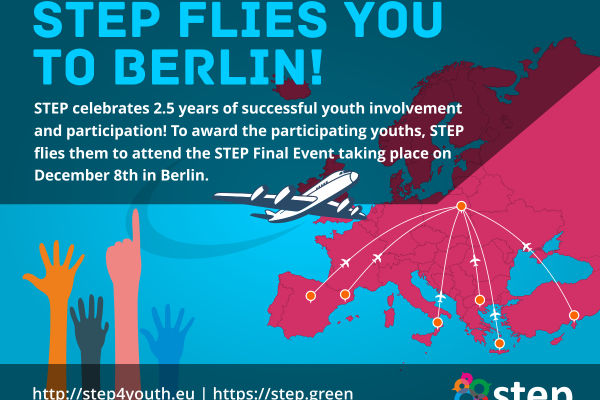 In order to award active youth participation, each STEP pilot will implement a contest through the STEP platform that will give as a unique prize a trip for two young people to Berlin. 14 people coming from the STEP pilot areas will join STEP final event and elaborate on their experience, ideas and perceived value of eParticipation! The discussion will be around the questions: How to enable more youth eParticipation? What can public authorities gain from enabling youths participation? What is Youths perceived value of eParticipation? By bringing public authority representatives, youths, non-profit organisations and private sector together, established synergies will be expanded and new synergies, knowledge and partnerships will be built, aiming to further strengthen eParticipation and format a solid base for future actions. For the STEP team, the final event is not an ending point on the contrary it is the starting point, for new initiatives and more active youth citizenship enablers.